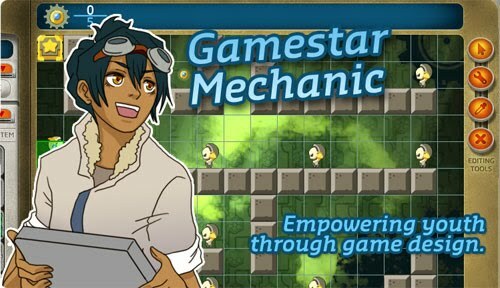 Gamestar Mechanic is a game-based digital learning platform designed to teach the guiding principles of game design and systems thinking in a highly engaging and creative environment. The Getting Started Teacher Pack includes an introduction to the pedagogy behind Gamestar Mechanic, an approach to using Gamestar in your class, how to navigate the game itself, and 5 introductory lessons to use with your class. You can browse the Getting Started Teacher Pack on this wiki, or DOWNLOAD the PDF here. Other sections in this guide include more introductory materials for using Gamestar Mechanic (including assessment materials), as well as over 50 more lessons that dive deeper into exploring game design and core curriculum subjects.